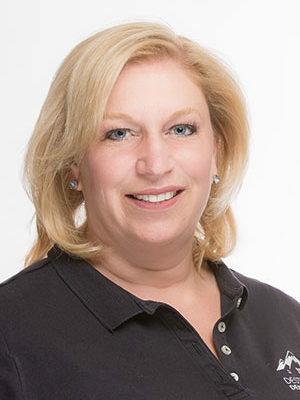 Born in Ohio but raised in Colorado Springs from the age of 5, Christy attended Coronado High School and earned her bachelor’s degree in business from the University of Colorado Boulder. Upon graduation, she set her sights on New York City, where she became a Vice President for the Morgan Stanley Institutional Equity Trading Floor early in her career. Soon after, she and her husband, Trent, moved to Barcelona, Spain, for one of his work assignments. Their first son was born abroad, which led to a whole new level of getting to know their new city, its culture and customs—and its medical facilities! Once back in the United States, they briefly settled in Connecticut before returning to Colorado to raise their growing family. Years later, when a work opportunity once again opened the door to living abroad, Christy, Trent, and their three children packed up and relocated to England for three years. While it wasn’t easy to leave family and friends, it was certainly an amazing opportunity to explore another part of the world together. Upon returning to Colorado in 2011, the Krauses settled in Castle Pines—just far enough from city life to enjoy the peace and quiet but still only 10 minutes away from seemingly everything they need. When Christy was presented with the opportunity to join Destination Denver Realty a short time later, she knew it would be just the right fit. Now a licensed Realtor, Christy brings together her years of personal relocation experience and love of travel to help clients establish their new lives in a new city. Christy can be reached at christy@destinationdenverrealty.com or 720-470-9010. Packed up and moved to New York City at age 22, armed only with a college degree and a sense of adventure. Lived in Australia, Spain, and England (in Melbourne, Barcelona, and West Leake, to be exact). Has been a CU season ticketholder since college graduation—even when living out of the country! Recently traveled to the Czech Republic for the third time, coordinating activities and teaching English as part of a family camp. Hopes to swim a 10K (alongside Destination Denver Realty President Laura Demaree) by the end of this year. Christy is once again raising funds for the Denver Dumb Friends League, an organization that’s near to her heart since her own family adopted their dog, Buffett, from a DDFL facility in 2007. Not only has Buffett enriched their lives here in Colorado, but he also played a vital role in easing the family’s transition during their own relocation to England years ago. And while they’ll never know why the young Golden Retriever was left in DDFL’s overnight drop box, they are grateful for the charity that continues to provide options for people who can’t take care of their pets while simultaneously helping to find loving families that can. You can support Christy’s efforts by learning more or donating online at ddfl.org.